Facilitating automotive buyers and suppliers to build and retain relationships between OEMs, tier ones and the upstream. 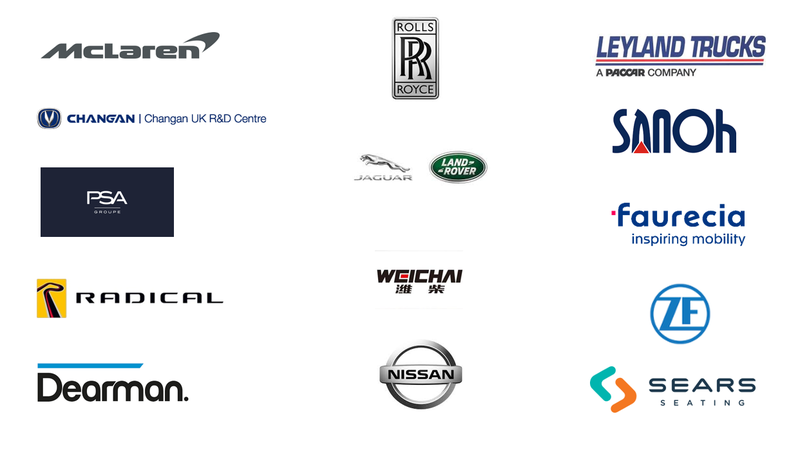 Meet the Buyer is the UK automotive sector’s most comprehensive buyer supplier matching event, providing a platform for companies to meet and discuss potential supply opportunities. With the industry going through its biggest transition for a century, SMMT is looking to support as much UK-to-UK business development as possible. The process involves buyers specifying products or services or supplier criteria such as quality standards, volume capabilities or business locations. SMMT then works with its database to identify suppliers that meet their requirements, putting forward a list of prospects to the buyer. If there is a match, SMMT then invites the supplier to meet them at a one-day event at the Automechanika Birmingham show. Each supplier gets up to 25min meeting with a buyer. 90% positive or neutral meeting outcomes. The form will remain open until 19 April, however, we strongly recommend early submission. After the deadline has passed, all EOIs will be sent to the participating buyers who will decide which companies they would like to invite to meet them on the day. Please note that this is an invite only event. Invitations can only be issued by participating buyers. Completing this EOI does not guarantee you will receive an invitation. If you are selected for a meeting but are not an SMMT member, nor an exhibitor at Automechanika Birmingham, you will be charged an administrative fee of £100+VAT for your initial meeting. Any subsequent meetings you secure will not be charged for. These charges will be used to cover the cost of the event delivery, including the networking lunch and to maximise the number of meetings we can deliver through minimising no shows. If you do not secure any meetings you will not be charged. Members and Automechanika Birmingham exhibitors who secure meetings will have this fee waived. We are currently building a new database that will replace the current ASF database (www.autosupplierfinder.com) which was used in previous years to gather supplier information. The new system will be launched at a later stage of the Meet the Buyer pre-event preparations. In the meantime please submit your details using this form in order to be considered by the buyers. Any changes or any additional requirements will be communicated to you directly. For any further information please email memberservices@smmt.co.uk. Buyers select their supplier criteria. After the 19 April 2019, buyers will review all submissions and make their supplier selections. From 19 April until the 5 June, SMMT will send invitations to all selected suppliers. Each invited supplier will have to confirm which individuals (up to 2) will represent the company at the Meet the Buyer meeting(s). Suppliers will be able to view their events schedule in advance. The events are facilitated through the team at the SMMT, and give us an opportunity to engage with a targeted portfolio of suppliers. I have now met numerous suppliers that are of interest to Faurecia, not just for today, but also for potential projects in future.